Every publisher worries about ad revenue of because ad blocking Softwares if you are among them who facing the ad blocker problem, then in this tutorial we will show you how you can block the Ads Blockers in your WordPress site. Advertisement is very important for every website and blog owners and you should care about your revenue. 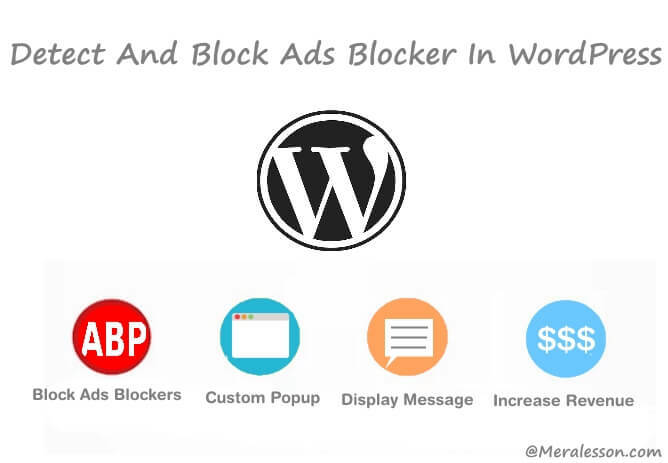 In WordPress you can easily block the ad blockers and can force them to disable the ad blocker on your site. Well, There are many Ads detectors WordPress plugins which help you to detect and block Ads blockers in your website. 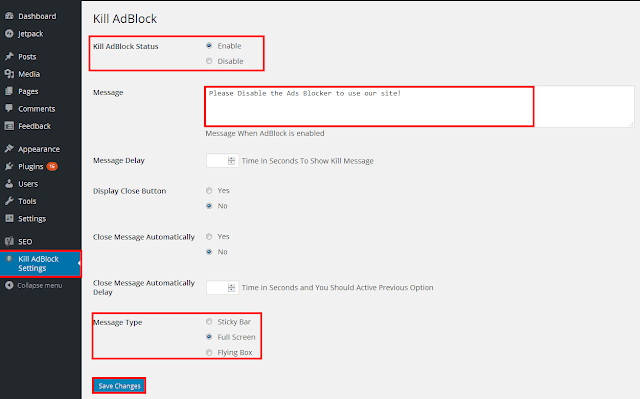 And one of the plugin that we will use in this tutorial is Block AdBlock which can easily detect ad blockers and also can display a custom message to users. And it comes with many features such as Custom message, Message delay in seconds and Display Close Button or not. To detect and block Ads Blocker on your WordPress you need to download and activate the Block AdBlock plugin through your WordPress plugins interface or you can do that manually. After you activated the plugin, then you need to enable and add the custom message. So go to your WordPress admin panel and click Kill AdBlock tab on your sidebar. On the settings page enables the Kill AdBlock and also add Message and Message type. So once you have enabled the kill Adblocker it will display block message to ad blocker users have looked below screenshot. That's it, Congratulations, You sucessfully added the kill adblocker in your WordPress and we hope this tutorial help you to add the add detector in your site and if you leanned from this tutorial then like and follow us on Twitter, Facebook to get latest updates from us.. You can also let us know which reaction, feedback you have in the comment section below.